This release introduces data at rest encryption for the WiredTiger storage engine. Data at rest encryption for WiredTiger in Percona Server for MongoDB is compatible with the upstream implementation. In this release of Percona Server for MongoDB, this feature is of BETA quality and should not be used in a production environment. Note that Percona Server for MongoDB 3.6.8-2.0 is based on MongoDB 3.6.8 which is distributed under the GNU AGPLv3 license. Subsequent releases of Percona Server for MongoDB will change its license to SSPL when we move to the SSPL codebase released by MongoDB. For more information, see Percona Statement on MongoDB Community Server License Change. PSMDB-233: When starting Percona Server for MongoDB 3.6 with WiredTiger encryption options but using a different storage engine, the server starts normally and produces no warnings that these options are ignored. PSMDB-239: WiredTiger encryption is not disabled with using the Percona Memory Engine storage engine. PSMDB-245: KeyDB’s WiredTiger logs are not properly rotated without restarting the server. The Percona Server for MongoDB 3.6.8-2.0 release notes are available in the official documentation. Percona Server for MySQL 8.0 General Availability (GA) will be available later this year. You learn how to install the release candidate software here. Please note this release candidate is not intended nor recommended for production environments. MySQL databases remain a pillar of enterprise data centers. But as the amount of data collected continues to soar, and as the types of databases deployed for specific applications continue to expand, organizations require a powerful and cost-effective MySQL solution for their production environments. Percona meets this need with its mature, proven open source alternative to MySQL Community Edition. Percona also backs MySQL 8.0 with the support and consulting services enterprises need to achieve optimal performance and maximize the value they obtain from the software – all with lower cost and complexity. Additional write-optimized storage engine, MyRocks, which takes advantage of modern hardware and database technology to reduce storage requirements, maintenance costs, and increase ROI in both on-premises and cloud-based applications, delivered with a MySQL-compatible interface. Enhanced Performance – New functions and expressions (along with Percona’s parallel doublewrite buffer) improve overall performance, allowing users to see their data more quickly. Enhanced JSON functionality improves document storage and query capabilities, and the addition of Window functions provides greater flexibility for aggregation queries. Common Table Expressions (CTE) enable improved query syntax for complex queries. 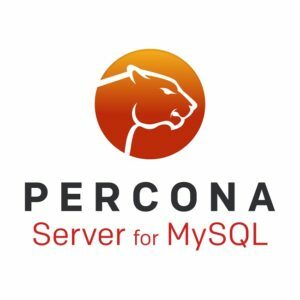 Learn more about the Percona Server for MySQL 8.0 RC release here. 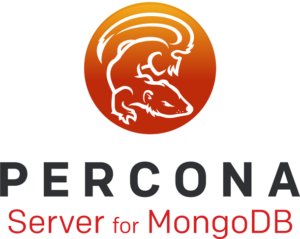 With more than 385,000 downloads, Percona Server for MongoDB provides all the cost and agility benefits of free, proven open source software, along with greater security, reliability and flexibility. With Percona Server for MongoDB, an increasing number of organizations can confidently run the document-based NoSQL MongoDB database to support their product catalogs, online shopping carts, Internet of Things (IoT) applications, mobile/social apps and more. 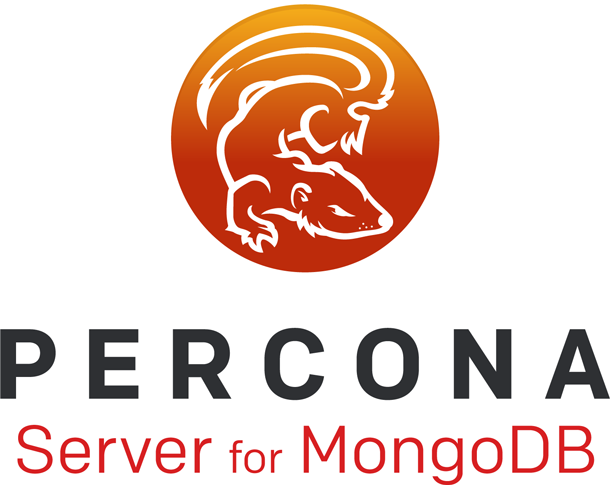 Percona also backs Percona Server for MongoDB 4.0 and MongoDB Community Edition with the support and consulting services enterprises need to achieve optimal performance and maximize the value they obtain from the software – all with lower cost and complexity. Support for multi-document ACID transactions – ensuring accurate updates to all of the documents involved in a transaction, and moving the complexity of achieving these updates from the application to the database. Support for SCRAM-SHA-256 authentication – making the production environment more secure and less vulnerable to external attack. New type conversion and string operators – providing greater flexibility when performing aggregations. Encrypted WiredTiger storage engine (“data at rest encryption”) with local key management. Integration with key management systems will be available in future releases of Percona Server for MongoDB. SASL Authentication plugin for enabling authentication through OpenLDAP or Active Directory. Open-source auditing for visibility into user and process actions in the database, with the ability to redact sensitive information (such as usernames and IP addresses) from log files. Hot backups to protect against data loss in the event of a crash or disaster – backup activity does not impact performance. Percona Memory Engine, a 100 percent open source in-memory storage engine designed for Percona Server for MongoDB, which is ideal for in-memory computing and other applications demanding very low-latency workloads. Integration with Percona Toolkit and Percona Monitoring and Management for query performance analytics and troubleshooting. production. If you want a high quality, Generally Available release, use the current stable version (the most recent stable version at the time of writing is 2.4.12 in the 2.4 series). As this is a release candidate, installation is performed by enabling the testing repository and installing the software via your package manager. For Debian based distributions see apt installation instructions, for RPM based distributions see yum installation instructions. Note that in both cases after installing the current percona-release package, you’ll need to enable the testing repository in order to install Percona XtraBackup 8.0.3-rc1. PXB-1678: Incremental backup prepare run with the --apply-log-only option could roll back uncommitted transactions. PXB-1672: The MTS slave without GTID could be backed up when the --safe-slave-backup option was applied. PostgreSQL lightweight locks, or LWLocks, control memory access. PostgreSQL uses multi-process architecture and should allow only consistent reads and writes to shared memory structures. LWLocks have two levels of locking: shared and exclusive. It’s also possible to release all acquired LWLocks to simplify clean up. Other databases often call primitives similar to LWLocks “latches”. Because LWLocks is an implementation detail, application developers shouldn’t pay much attention to this kind of locking. This is the third and final part of a series on PostgreSQL locking, related to latches protecting internal database structures. Here are the previous parts: Row-level locks and table-level locks. Starting from PostgreSQL 9.6, LWLocks activity can be investigated with the pg_stat_activity system view. It could be useful under high CPU utilization. There are system settings to help with contention on specific lightweight locks. Before PostgreSQL 9.5, the LWLocks implementation used spin-locks. It was a bottleneck. This was fixed in 9.5 with atomic state variable. WALInsertLock: protects WAL buffers. You can increase the number of wal buffers to get a slight improvement. Incidentally, synchronous_commit=off increases pressure on the lock even more, but it’s not a bad thing. full_page_writes=off reduces contention, but it’s generally not recommended. WALWriteLock: accrued by PostgreSQL processes while WAL records are flushed to disk or during a WAL segments switch. synchronous_commit=off removes the wait for disk flush, full_page_writes=off reduces the amount of data to flush. LockMgrLock: appears in top waits during a read-only workload. It latches relations regardless of its size. It’s not a single lock, but at least 16 partitions. Thus it’s important to use multiple tables during benchmarks and avoid single table anti-pattern in production. ProcArrayLock: Protects the ProcArray structure. Before PostgreSQL 9.0, every transaction acquired this lock exclusively before commit. CLogControlLock: protects CLogControl structure, if it shows on the top of pg_stat_activity, you should check the location of $PGDATA/pg_clog—it should be on a buffered file system. SInvalidReadLock: protects sinval array. Readers using shared lock. SICleanupQueue, and other array-wide updates, requires an exclusive lock. It shows at the top of the pg_stat_activity when the shared buffer pool is under stress. Using a higher number of shared_buffers helps to reduce contention. BufMappingLocks: protects regions of buffers. Sets 128 regions (16 before 9.5) of buffers to handle the whole buffer cache. The lowest level for locking is spinlocks. Therefore, it’s implemented within CPU-specific instructions. PostgreSQL is trying to change an atomic variable value in a loop. If the value is changed from zero to one – the process obtained a spinlock. If it’s not possible to get a spinlock immediately, the process will increase its wait delay exponentially. There is no monitoring on spinlocks and it’s not possible to release all accrued spinlocks at once. Due to the single state change, it’s also an exclusive lock. In order to simplify the porting of PostgreSQL to exotic CPU and OS variants, PostgreSQL uses OS semaphores for its spinlocks implementation. Of course, it’s significantly slower compared to native CPU instructions port. 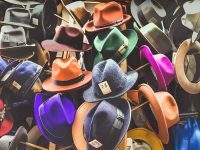 Use fresh branches of PostgreSQL, as developers have been working on performance improvements and trying to reduce locking contention on hot mutexes.